Luxury must be comfortable, otherwise it is not luxury – and luxury is exactly what you are getting with this, simply elegant sequin & chiffon bridesmaids dress. This stunning gown is affordable luxury, which every bride will be ecstatic about. This sensationally exceptional dress is the irresistible choice for your bridal party. 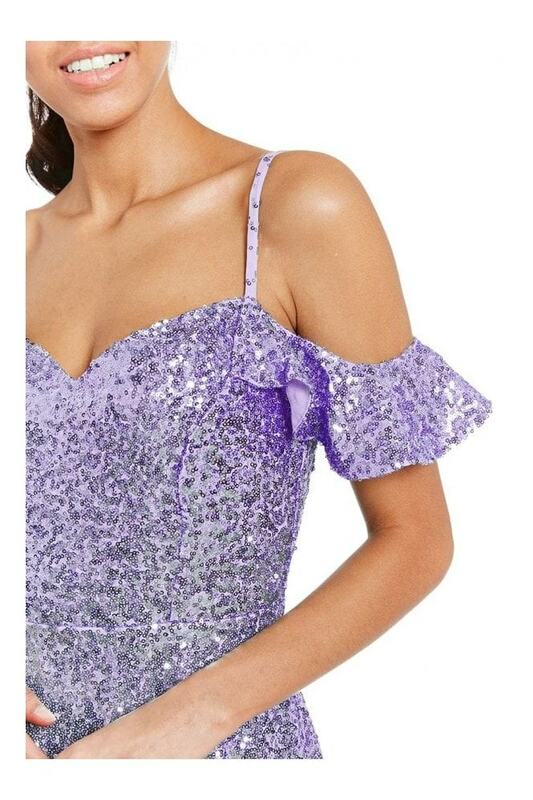 Having your party in this glamorous affordable bridesmaid’s dress, standing next to you, they will shimmer and shine so brightly it will be like you’ve got your own spot light on you for the day. In its electrifying lavender colour, your girls will be standing out from any bridal team you will ever see. 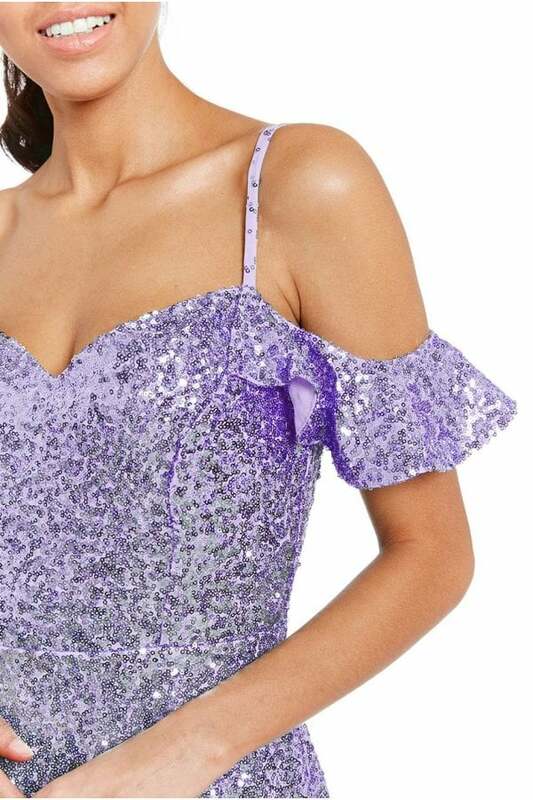 This sparkly design is incredible, with its maxi length, adjustable spaghetti straps and flutter sleeves, your bridesmaids will look dramatically sophisticated. With it being a looser design, your superstar team will have room to move around and party the night away with no discomfort at all.